If you have followed my writing for a bit you will know that I am a proponent of real foods instead of processed foods or meal replacements powder. (Sometimes a meal replacement is all you have and if you are trying to gain weight you definitely don’t want to skip a meal.) The only time I really favor a powder over real food is for a post workout shake. With that said Protein powders are a convenient way to get the protein in our body that it needs on a daily basis. A quick absorbing protein is really good right after your workout so it can replenish the nutrients and start the rebuilding process. This is important for those who are bulking and cutting. The other time that protein powders come in handy is when the food you are eating is pretty low in protein and you want to boost it. An example of this can be a smoothie or some type of baked product. There are some that even enjoy a protein coffee in the morning. So whether I am working with someone going low carb that is looking to lose weight or someone who has a high carb intake that is looking to put on size, getting enough protein is a recommendation of mine regardless of goal. The good thing about protein powders is that most offer a complete protein, which means all essential amino acids that your body needs are present. Most powders are derived from animal products so they will be a complete protein. The ones from plant products are also usually complete proteins since they are usually made from plant-based complete proteins. Some people use a blender to make a protein shake, but a lot of people use a portable shaker bottle instead. The one I use has a wire ball in the middle to blend the powder more efficiently than a bottle alone. They are pretty cheap but they can make your protein very portable so you can drink right after your workout or in your car, or anywhere else you don’t have a blender. Choosing a good protein powder can be a little confusing for some. Is there a difference between whey protein powders? Are there any other powders if I don’t like whey? What protein powder tastes the best? In this 3-part article I’ll try to answer all those questions and more. This first section will be about the milk based products whey and casein. In part 2 I will cover the non-milk based powders including a few vegan powders. Part 3 I will finish up with the rest of the proteins including the blends which combine a few different types of proteins in one shake. Before I get into my assessments of protein, I do want to cover some food ingredients that are used as fillers in some cheap protein powders and are very prevalent in weight gainer shakes. The ingredients you want to watch for are maltodexrin and dextrose. If you are trying to lose weight you definitely do not want to have either of these in your protein powder. If you are trying to gain weight they may give you some benefit, but they has some drawbacks as well so it will be dependent on how your body reacts if you want to add these or not. Maltodextrin is a sweetener that is usually made from corn starch but can be made from any starch and dextrose is another sweetener that is made from starch. Chemically both are made up of glucose molecules, which is a sugar so both raise insulin levels very quickly. Having a high glycemic index number will lead to a rise in insulin production. While this may be a benefit immediately after a workout, you would not want to have a consistently high insulin levels because insulin helps fat accumulation (storing fat) and hinders fat mobilization (burning fat.) While extra fat is not good, it’ nothing compared to other health problems that is linked to consistently high insulin levels such as diabetes and cancer. I don’t really recommend getting a lot of extras like maltodextrin, or dextrose or any other insulin raising substance in your protein powder. I prefer to add them separately when I am bulking so I can control the amounts and determine what amount is best for your body. Both starches are also a lot cheaper to produce than a protein powders alone so you should not be paying for cheaper fillers in your protein. Another tricky thing that some supplement companies do is to add a bunch of cheap amino acids to the mix. Yes, protein is made up of amino acids, but the body can only use them when they are all present in the correct ratios. Amino spiking could knock the total usable protein you are actually getting down by 50%. The way that protein is measured for a nutrition label is by the total nitrogen content. These isolated amino acids count toward the total nitrogen content even though they are not really a complete protein and won’t do a whole lot toward building muscle. The commonly added aminos that should raise some red flags are the amino acids l-glycine and/or l-taurine. They are both cheap non-essential amino acids, and while they do have some value, they cost a lot less than a pure source of protein like whey. Although their inclusion does not necessarily mean that they are used for the total protein content, I would avoid any product with them in the label. Another red flag ingredient is creatine.Don’t get me wrong, creatine is a well-researched ingredient that has some great strength and muscle building benefits, but creatine is another ingredient that is a lot cheaper than protein. Creatine is made up of the amino acids l-glycine, l-arginine and l-methionine. All 3 of these will raise the total nitrogen content without giving you more usable protein. I would opt for a product without added creatine, and like maltodextrin or dextrose, I would purchase it separately and add it in as needed. This is probably the most prevalent protein powder out there. It is derived from a milk byproduct so this may contain lactose depending on what kind you get. Whey is definitely the quickest absorbing of all proteins which is why most people choose whey for as their powder of choice. Whey protein powder has a very high biological value. This measures how effectively your boy will be able to digest and utilize the protein. Whey is actually has the highest measured biological value of any food. Since whey is absorbed so quickly, this makes it a good choice for a pre and post-workout shake because it raises the level of amino acids in the blood very quickly. This is very good for building muscle. When choosing a protein powder you need to read the label. The nutritional information can vary between 2 different whey products. Some have more sugar than others and some have more fat. You definitely need to know what you are getting so you can match the diet you are on. There are 3 types of whey protein and a lot of the powders use a blend of 2 or 3 of them. The cheapest whey to produce and purchase is a whey protein concentrate (WPC.) Unlike its name, this is actually the least concentrated form of protein. WPC has higher levels of fat and carbohydrates in it. Their protein content can vary be anywhere between 29%-89% protein by weight. This is a pretty significant variance that one concentrate can have over another. If the ingredient list says whey protein concentrate, you really want to pay close attention to the nutritional label to make sure that you are aware of the extra carbs or fat so it won’t throw off your nutrition plan. A much more pure form of whey protein is whey protein isolate (WPI.) Its protein volume by weight needs to be higher than 90% to be considered an isolate. They have fewer carbohydrates, fat and can be made to be almost lactose free. The downside is that since there is less fat and carbs the taste may be a bit blander. This is why most proteins are a blend of WPC and WPI. The last form of whey protein is whey protein hydrolysate (WPH.) This is the quickest absorbing form of whey protein. This is because they are enzymatically predigested so they can be metabolized at an increased rate. Since whey already absorbs pretty quickly the average person will not need it to be even faster. It seem like overkill and they are also more expensive. Some people who have digestive problems with WPC and WPI are able to tolerate WPH and that is a good benefit for some. Whey protein would be my first choice of protein powders for most people. There are a few exceptions. Unless you are a vegan and you aren’t eating animal products, if you have lactose intolerance, or don’t like its slight milk-like flavor, whey would probably be your best bet. Cost-wise whey can be relatively inexpensive unless you are opting for a hydrolysate. Beware because some products are expensive and pretty crappy. High cost does not always mean high quality. I would opt for quality over cost though so look at the label of the product before you buy it so you can find one that matches both your budget and your nutritional needs. Remember just because it says whey protein on it doesn’t necessarily mean it is healthy. Some protein powders have a lot of fillers like maltodextrin and too many artificial flavors and sweeteners. This goes for some of the most popular brands and can vary from flavor to flavor, so that label reading is necessary. Don’t just assume that since it’s a popular brand that it’s good. With Whey Proteins the one ingredient that is hard to get away from is Soy Lecithin. Like maltodextrin, this is a common additive in many foods. Lecithin is mainly used as an emulsifier though and not a filler so it’s quantities in food are less. It is derived from soybean oil and as you may already know I try and avoid soy like the plague. Most of the soy in the U.S. is GMO and has been linked to health problems as well as their phytoestrogens. Unfortunately this is hard to get away from and that is why I try and use whey protein as little as possible. The good thing is that even though soy lecithin is present it is not a major ingredient in the powder but be aware of this and try not to live off protein powders as your sole source of protein. There are literally hundreds of different whey protein powders out there and for this article I have looked at all of the popular brands out there. Below is what I use and some recommendations. There are also a few that I would stay away from and I have covered them as well. I have read a lot of labels and see a lot of crappy fillers in some of the brands. Even some of the most popular best-selling brands have some crappy ingredients in them. 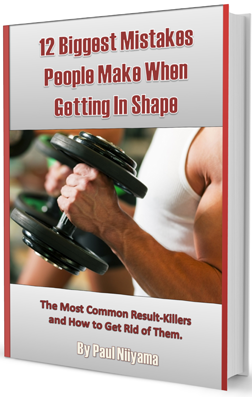 I personally use two different whey protein powders at the time of writing this. One is a WPC/WPI blend and the other is a concentrate. These are the two that I like the best in terms of ingredients, nutritional info and cost. The first is Optimum Nutrition 100% Gold Standard Whey.This is my favorite brand. No fillers like maltodextrin (for most flavors) and no added aminos or creatine. Does it have artificial flavors and sweeteners? Yes, but it does seem to be a lot less than a lot of the other brands that I have looked at. This is a blend of WHC and WHI. 80% of it’s calories come from protein, which isn’t the highest ratio of all powders but it is higher than most WPI/ WPC blends. The flavor of the ON whey is an individualized thing but I think all of their flavors taste pretty good. They also mix very well. I usually use a shaker or blender but I have even used a spoon in a pinch. The reason I mentioned sticking to those flavors is because their other flavors have ingredients that I would avoid. I learned this the hard way when I purchased Chocolate Coconut and saw sunflower oil, maltodextrin and modified food starch. Looking through other flavors I see things like high fructose corn syrup, enriched flour, palm and palm kernel oils and corn flour. Read the label before you buy a bottle so you know what you are getting.Even with a few fillers, it still is a great product and I can’t recommend it enough. The other whey that I use is Jarrow Formulas Whey Natural Protein. It has no flavorings, sweetener and is just whey protein. The only other ingredient is the soy lecithin. The bottle does not specifically say whether it is WPC or WPI but their website says this is a WPC. The fat and carb levels are relatively low for a WPC so I don’t think it’s too much of an issue. There is only 18 grams of protein per scoop, so it’s a little less than a normal protein powder but 77% of it’s 94 calories are from protein. While that is not a high ratio compared to a WPI, for a WPC it’s pretty good. The taste of the natural flavor is where some people might be turned off by this powder. That is because it is pretty non-existent. I would describe it as almost like powdered milk but not as strong. The mixing of this powder is also not as easy as the ON brand. So the tradeoffs would be less protein per serving and less mixability but you get less additive and no fillers. I get a little of each which is why I use both powders. Jarrow Formulas does make a chocolate and a vanilla flavor but both of those contain fructose as it’s sweetener. Fructose is the sugar from fruit but has been linked to health problems when consumed without the fiber in the fruits. Dymatize makes 2 good products. The first is their Elite 100% Whey product. This is also a WPC/WPI blend and is actually a little less expensive than the Optimum Nutrition product that I currently use. Even though it has a lower cost, the percent of calories from protein is slightly higher. The Optimum Nutrition is 80% from protein and the Dymatize is 84%. It has a little more fat and a little less carbohydrates. Both contain the same 24 grams of protein per serving. Dymatize uses Sucralose, Acesulfame Potassium and Stevia as it’s sweetners. I am actually intrigued by the nutritional information and will use this as my next protein powder especially since it is less expensive than what I use now. If cost is not an issue for you Dymatize’s other product is their Iso 100. This is not a blend. It is a whey isolate and since it is a higher quality protein, it is more expensive. The protein per serving is 25 grams which is only slightly higher than some other powders but the percent of calories from protein is 91%. There is conflicting information about it’s ingredients though. I have seen GMO soybean oil in the list, but I think it may be from an old formula. I would not use the formula with soybean oil so look at the label to know which one you are getting. The last product that I really like is Nature’s Best Isopure Protein. Each scoop has 25 grams of protein with very little fat and very little or no carbs depending on the flavor your choose. 90% of it’s calories are from protein so this is another high percentage. They have many flavors and the ingredients vary slightly with each flavor. The Unflavored is a real winner though as all it has is protein and soy lecithin. This is another WPI and like the Dymatize isolate it is pricey. If cost was not a factor, this would be my top pick and would have been using this long ago.The reviews on the taste seem pretty positive. There are many protein powders that are decent that I did not include on my recommended list, some for cost, some for their ingredients and others because the percentage of their calories from protein are too low. There are two products that just stood out to me that I wanted to mention them to you so you can stay away. The first powder I would stay away from is BSN’s Syntha-6. Yes this is the same BSN that makes the popular NO-Explode preworkout powder. This product really makes me wonder if people read the labels of the products they buy since it is so popular. It has the highest fat and carbs of all the powders that I have seen. 6 grams of fat and a whopping 15 grams of carbs is very high for a protein powder. It’s 200 total calories are also the highest per scoop that I have seen. Only 44% of its calories come from it’s 22 grams of protein. Yes less than half of the calories of this protein powder actually come from protein. It also contains sunflower oil and corn syrup soilds. What is even more surprising is the positive review that I see from people that seem to neglect this and only focus on the taste. Unless they change their formula, I would not even try this product. If the nutrition is not there, it does not even matter if it tastes good. While these ratios are not that bad if you are bulking, the pricing should be a lot cheaper for a product with so much filler, but the pricing is pretty comparable to some of the products above. Another hugely popular product is MuscleTech Platinum 100% Whey. While not as outrageous as Syntha-6, it’s percent of calories from protein is still a little low. Only 74% of it’s calories are from protein. While that is not that bad, it is the lowest of all the top selling whey products. This product also contains sunflower oil and corn syrup solids. It is this combination of low protein percentage and these ingredients that would make me stay away from this powder. Whey is known as the quick absorbing protein and casein is known for its slow absorption. Both whey and casein are derived from milk. Casein is actually more prevalent in milk than whey and makes up about 80% of it’s protein content. 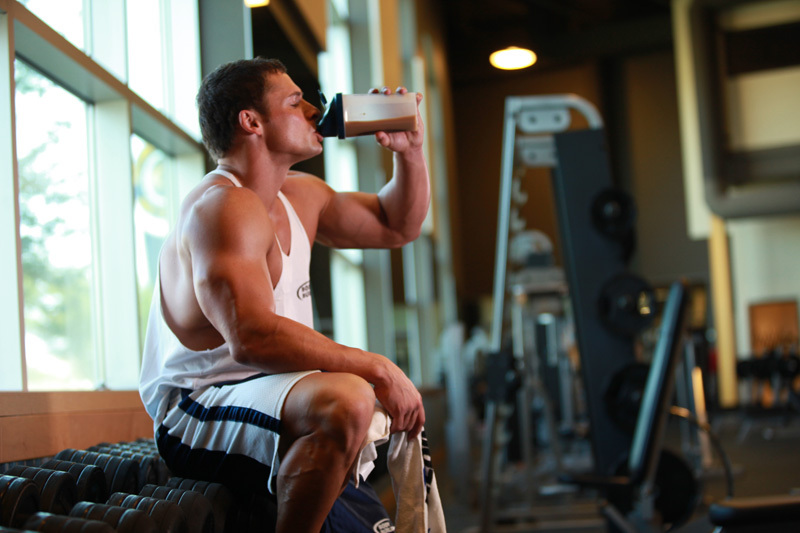 Studies show that whey is actually better for muscle growth because of the rapid increase in blood amino acids. Casein is not absorbed as rapidly and the benefit is a steady absorption the bloodstream which slows down the breakdown of your muscles. Both are important and you get both of these when you drink milk. Because of its slow and steady absorption, it makes sense to use casein in all the instances where you would not use whey. It is most typically used before bed by most people because your body will be going for a long period of time without food. It’s slow absorption can supply the body with the necessary amino acids while you are sleeping and can slow down the rate at which your body breaks down muscle while you are resting. Casein can be used for both muscle gain as well as fat loss goals although it tend to be more popular with people who are putting on size. I would not recommend casein as a post workout shake because of it’s slow absorption but here are protein blends that contain both whey and casein and that would be OK. Some people prefer the whey/ casein protein blends since the casein will slow down muscle breakdown and the whey will increase muscle growth so you are really getting the benefits of each of these. When compared to whey casein protein is a lot thicker. Casein actually reacts to your stomach acid and coagulates. This gives it a gel-like thickness and is why it absorb so slowly in the stomach. Casein protein is generally available in 2 forms. The first is as a caseinate. This can either be in the form of calcium casseinate of as a sodium casseinate. The other higher quality casein is micellar protein. Most of the pure casein powders are micellar casein and are undenatured and filtered. These are produced without chemicals and are a higher quality than caseinate. 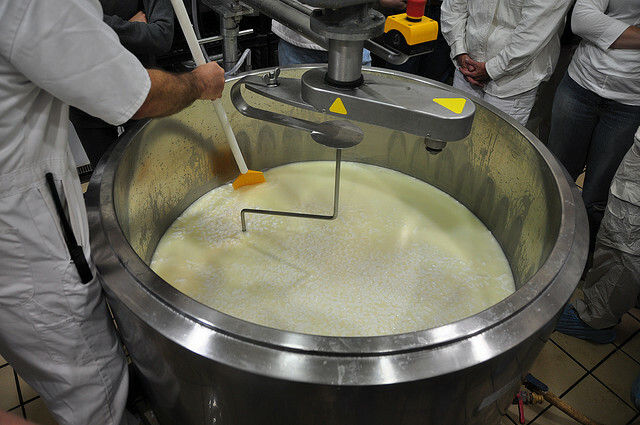 Caseinates are usually made with chemical reactions and are lower quality. Casseinates usually are more digestible which mean they will absorb quicker into the body. Since the main goal of a casein is to have the protein absorb slowly and steadily which is why a less soluble miccellar casein is preferred. There are even some studies that show that casseinates can absorb as quickly as a whey. This would totally defeat the purpose of getting a slow absorbing protein. Since the process to produce a miccellar casein is more costly, a miccellar casein product will be more expensive than a casseinate. When comparing casein to whey, caseins are usually a little more pricey. Whey is usually sold in 1,2, 5 and 10 pound containers, casein is usually only available in 2 and 4 pound increments. The price of a 4 pound bottle of whey is around the same price and a 5 pound bottle of whey. Choosing a good casein can be a little easier than finding a good whey since there are so much more wheys to choose from. Casein is more of a specialized product that is utilized more for building muscle. There just aren’t as many casein products out there so it was easier to go through all the top brands to find a good one. When choosing a casein powder the same things to watch out for with wheys will also apply. Look for filler ingredients and read the labels because some powders that have elevated carbohydrates and fats. Some of the other brands that I looked at contain ingredients like silicone dioxide, maltodextrin, and sunflower oil. For casein protein I also use the Optimum Nutrition brand. While the Optimum Nutrition 100% Gold Casein isn’t free from artificial ingredients it doesn’t have as much as some of the others that I have researched. At the time of this writing I am cutting so I don’t use a casein, but when am bulking I do use a casein and this is the brand I us. It contains 24 grams of protein per scoop which equates to 80% of the 120 calories coming from protein. The sweetening agent is once again sucralose. The fat and the carbs are also pretty low. As with the whey protein powders I would stick with their popular flavors like Chocolate Supreme or Creamy Vanilla since some of their more exotic flavors like Cookies and Cream will have sugar, palm oil and high fructose corn syrup. For a casein, it’s mixability is pretty standard. It does not even come close to whey in terms of mixability. While you can use a shaker or a spoon for whey, it is definitely much more difficult with a casein. The powder gets stuck in the blender ball of my shaker and it comes out lumpy with a spoon. A blender is the only way to go if either of those bothers you. The texture is very thick. Definitely a change if you are used to a pure whey which is very liquidy. I enjoy the taste but once again that is an individual preference. Universal Nutrition Casein Pro is another product that has a nutrition label that does not look that bad. It is a bit more pricey than the Optimum Nutrition brand depending on where you buy it but it doesn’t have some of the other fillers that some other popular brands have. 82% of it’s calories are from protein. Each serving has 24 grams of protein and 117 calories. It’s carb content is a bit lower than Optimum Nutrition’s. I have not tried this powder yet so I have no idea about it’s flavor or mixing, but the reviews seem pretty good. Again you need to read the label because the ingredients change by flavor. The Chocolate Milkshake and Vanilla Soft Serve both seem OK as far as ingredients. It might be worth a shot if you don’t like the flavor of the Optimum Nutrition since the nutrition label looks alright. MusclePharm: Combat 100% Casein is another good casein protein. Although there are a few additive in this, there is not a lot of fillers in this either. This one has 28 grams of protein per serving. 86% of it’s calories are coming from protein, which is very high for a protein powder and especially a casein.The sweetener for this powder is Acesulfame Potassium and Sucralose. The real drawback to this powder though is the price. It is a lot more pricey than the Optimum nutrition brand. So that’s it for my reviews of whey and casein. In part two I will be covering egg, beef, soy and hemp protein powders. If you have any questions or comments please let me know. If you know someone that this article may benefit please share it on any of the social media platforms below.